No key-hole or potato chip scarves. 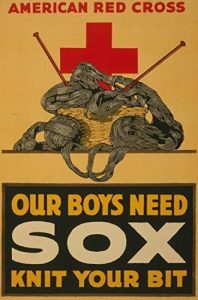 Yarn must be machine washable and dryable in gender neutral or patriotic colors. No fun fur or eyelash yarn. With the scarf please include name and contact information. Scarves can be mailed or dropped off at the Historical Society, 543 South Main Street in Geneva. Donations will be accepted until Friday, October 5. 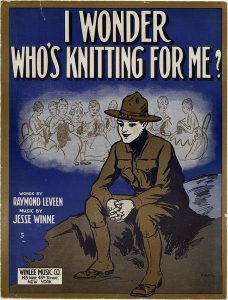 This project is part of the Knit Your Bit program at the National WW II Museum in New Orleans. Launched in 2006, more than 10,000 knitters and crocheters across the country have participated in Knit Your Bit project. Through their efforts, the National WW II Museum has distributed 50,000 scarves to approximately 1,000 veterans’ centers, hospitals, and service organizations across the country.